Crepey skin on neck bothers women and men much later than the crow’s feet around their eyes or the line that forms on their forehead. Saggy neck often occurs without inviting a considerable amount of attention. 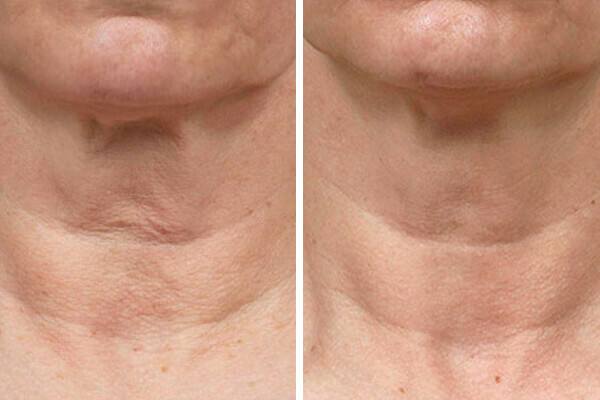 As a result, people look for solutions on how to tighten neck skin much later in life. Unfortunately, sometimes people look for solutions too late that even the power of the best neck creams may not be enough to help them smoothen deep neck wrinkles. At What Age Should You Use A Neck Cream? Still worried about that magic number when you should get on an anti-wrinkle regimen that includes a wrinkle cream for neck and chest? Well, don’t bother. It isn’t so much the age that defines when you should adopt an anti-aging regimen. Other more important factors that you should consider in making that shift in your beauty routine are your daily activities and whether or not your skin is experiencing premature signs of aging. Do your daily activities regularly expose your skin to sunlight? How long at a time is your neck skin struck by UV? The more exposed your neck skin is to the sun, the sooner you should expect your neck skin to wrinkle. Have you been using your sunscreen regularly? A well-formulated sunscreen can help you prevent or minimize the damage caused by the sun’s harmful UV to your skin. What is your skin type? If you have drier skin, it tends to age much faster than oilier skin types. What skin care regimen have you been following? If it complements your skin type, you’re on the right track but, if not, you might be in for trouble sooner. Have you been practicing a healthy lifestyle? Smoking, excessive drinking, stress, and late night parties can all cause your skin cells to deteriorate both in terms of health and appearance faster. Higher consciousness about what you’ve been eating and if you’ve been exercising can both also affect how soon you should cope with aging neck skin. The worse you score on these points, the sooner you should be incorporating one of the best neck tightening creams in your skin care regimen. That’s because you have a lot of making up to do. Are wrinkle creams the best treatment for neck wrinkles? Based on exactly this topic on neck wrinkles, Dr. Cynthia Bailey validates, wrinkle creams work on your neck and chest in much the same way that these products work to smoothen and brighten wrinkles on your face. She goes on to say that it is important that you work your face, neck and chest at the same time so that your skin looks evenly toned and textured in these areas. Here’s the catch: not all wrinkle creams will work effectively on your neck wrinkles. Dr. Bailey highly recommends you to use prescription tretinoin or, find a product that is formulated with non-prescription retinoid. When using these products, make sure that you work up your skin to the formula gradually to prevent unpleasant reactions with the product. Other than reaching for an extra firming neck cream, you should complement your anti-aging product with laser resurfacing, chemical peels and microdermabrasion treatments. These do not only help you tighten neck skin by supporting faster skin regeneration and turnover but also enhances absorption of your anti-wrinkle products. Should you start using a neck cream in your 30s? Again, it depends on your skin and your overall health condition. The best creams for neck wrinkles are similarly formulated with wrinkle creams made for use on the face and around the eye area. According to a review of available studies on the effectiveness of anti-wrinkle products in wrinkle correction, the researchers pointed out that evidence exists that antioxidants and cell regulators (peptides) work best for this purpose. Therefore, these ingredients should work great for neck creams for aging skin. Based on another study that sought to find out the most effective antioxidants that work for anti-aging skin care, researchers recommend Vitamins C, B3 and E. They observed how these antioxidants are able to readily and deeply penetrate the skin when applied topically. What is the best neck and chest cream? The best way as to how to get rid of saggy neck and chest skin is to extend the attention and care that you have been rendering your face to these areas. A neck cream that delivers not just one but multiple benefits will help improve how you manage skin aging around these parts as well. Other than that, keep in mind that since healthy skin begins with a healthy body and mind, you must also exert extra effort in keeping fit and sharp so that you may enjoy a more energetic, younger-looking skin all over. Many people neglect their neck and chest in their daily skin care regimen. The neck ages just as quickly as the face and overtime loses elasticity resulting in what is commonly referred to as "turkey neck". Prior to purchasing a neck cream make sure it has been rigorously tested in clinical trials. A neck cream should effectively firm and lift sagging skin, improve overall tone and texture and reduce the appearance of fine lines and wrinkles. User reviews on neck firming creams are all positive. They indicate that a well-formulated neck cream, indeed, can show visible improvements around the crepey neck skin comparing before and after results. Other than occasional reports of allergic reactions, there are no other reported side effects from using high quality neck creams. Products from sub-standard brands and unknown manufactures, however, have caused more severe side effects that includes skin irritation. Even third-party reviewers agree that making the right decision about which neck and chest cream to use makes a world of difference on the benefits that you can derive. What Are The Top Ingredients To Look For In a Neck Cream? Peptides - These helpful components which anti aging products are often formulated with can have multiple functions. Among the most helpful peptides to have in your neck cream are the kinds that enhance collagen production and improve skin synthesis and elasticity. These allow your neck skin to better resist damage and aging. Examples of such peptides are hexapeptide-10 and acetyl dipeptide-13. With these peptides infused in your neck product, crepey skin on neck can be smoothened out sooner. Hydrating and moisturizing ingredients - Ingredients such as glycerin and hyaluronic acid (HA) and squalane are some examples. HA works by attracting water droplets from the surrounding air and tissues so that when these rest on your skin, your skin becomes fuller. Squalane, on the other hand, aids in keeping your skin well-moisturized for hours while also supporting your skin in delivering faster recovery from damage. 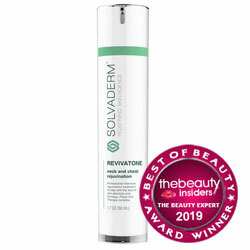 Antioxidants - The best neck cream for turkey neck will be formulated with antioxidants. To maximize the benefits that you can derive from antioxidants, make sure to derive Niacinamide (Vitamin B3), Vitamin C and Vitamin E. These antioxidants work deeply into your skin to work on your neck as well as on crepey skin on chest. How to choose best Neck Cream for Best Results? Research and read - Know more about skin aging and why your neck skin needs special care. What you must already know is that your neck skin follows a slower repair mechanism than skin on your face. Learn more about ingredients - It’s not enough that you know what ingredients to look for. Find out more about ingredients that you should avoid too, like drying alcohols , synthetic dyes, artificial fragrances, and toxic preservatives — all of which can cause irreversible damages to your skin in the long run. Search and compare - Don’t buy on impulse. Know your choices. Keep in mind that some products are available for free trial or are covered by a money back guarantee. You might want to take these deals to avoid spending on products that do not complement your skin well. Make sure to read the Terms and Conditions of the offer thoroughly before you agree. Look for evidence of product efficacy - How true are product claims? Product makers have the tendency to exaggerate what neck skin creams can do. How true? Look for clinical trials. Serious manufacturers who want to deliver quality products that deliver serious results will put in resources both for R&D and for product testing. Check maker’s track record for effectiveness and safety of products sold in the market too.